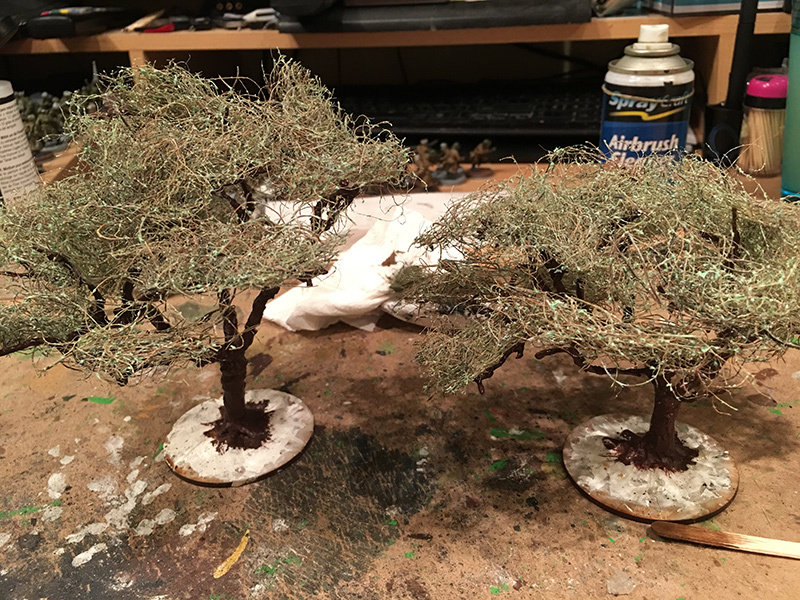 This weekend I have been mainly making trees. 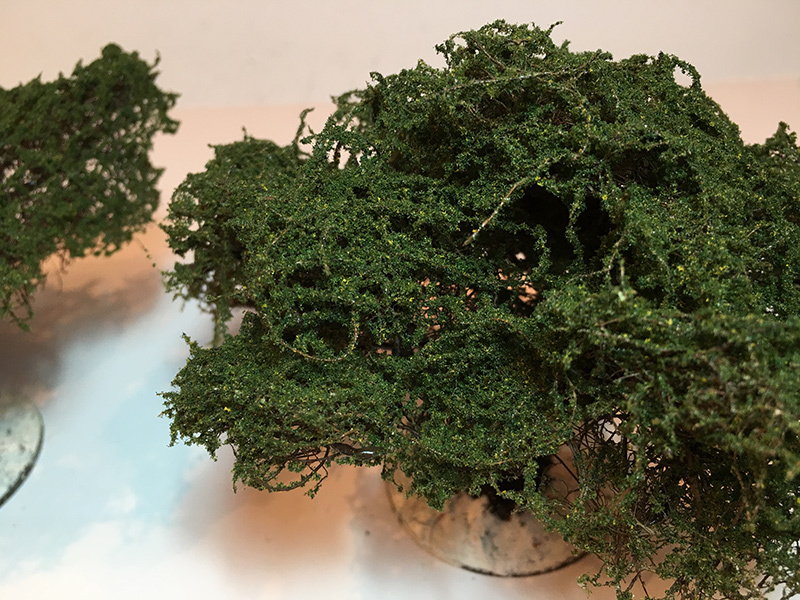 I decided to have a go at making trees with rubberised horsehair as per a few YouTube videos I’ve seen. I checked Ebay but there weren’t that many options so a quick Google search revealed a few companies selling the stuff. 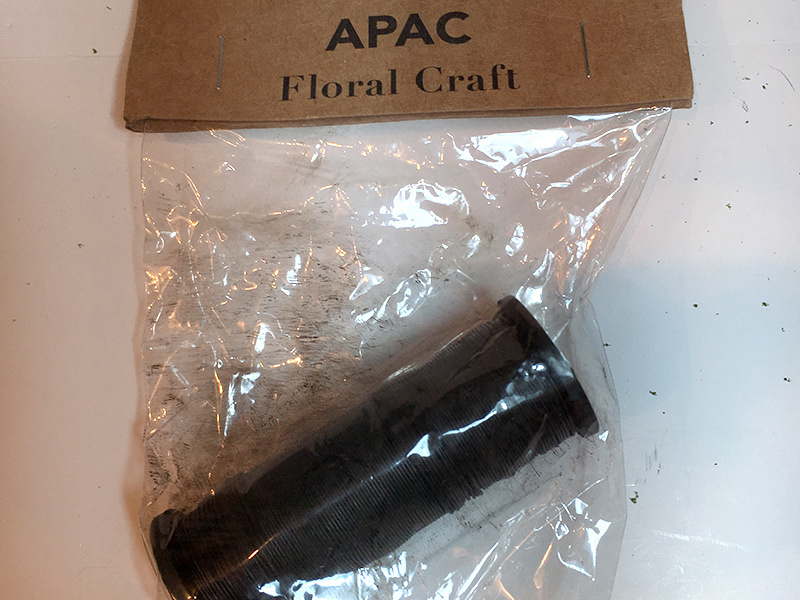 I got mine from a company called CM3 Models who appeared to be at least 50p cheaper than the other ones I found for an A4 piece of rubberised horsehair. I got 4 sheets of the stuff for £10.20, delivery was £2.90 and they arrived in a box 2 days later, so good service from CM3. 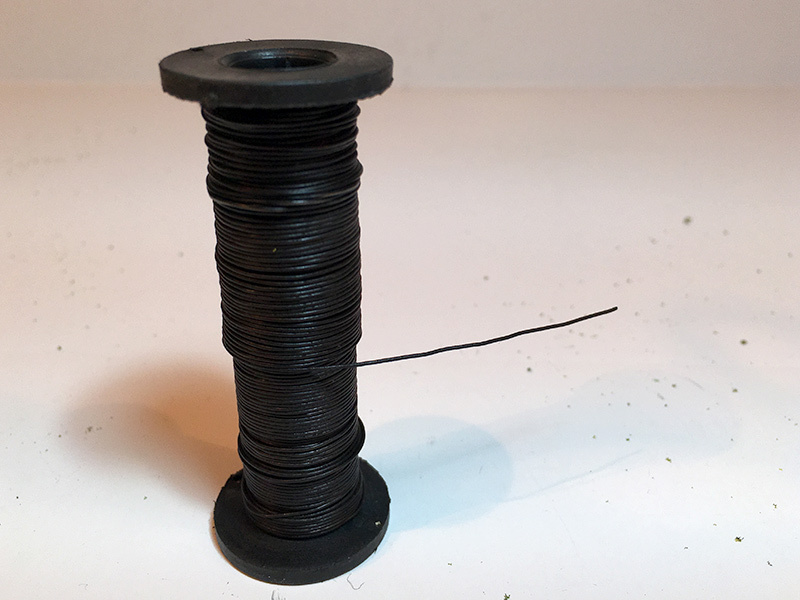 This is the stuff I got – A4 Rubberised Horsehair from CM3 Models. 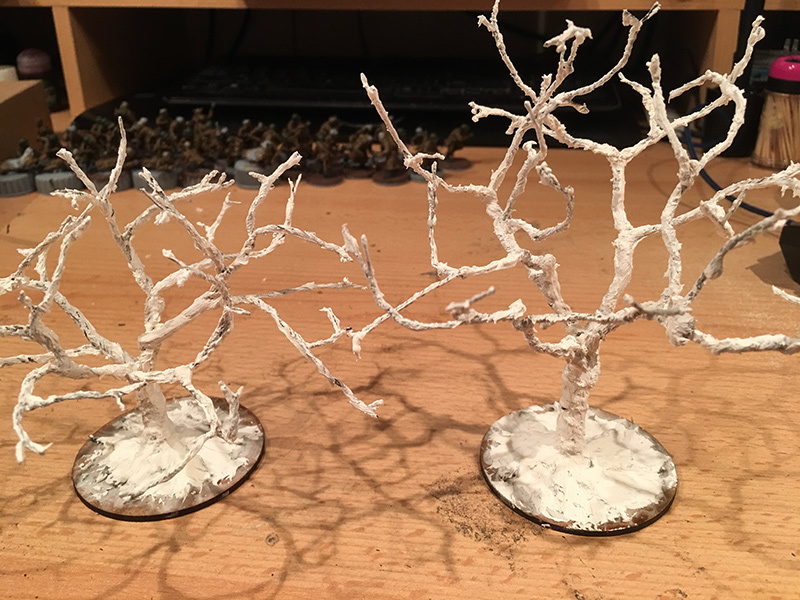 To make the trees I started with some wire. You cut this into lengths. The first two I made I used 12 inch lengths, folded them in half and then started clumping them together to twist into branches. The loop of the wire was then cut and those strands were twisted into roots to enable to tree to stand and be glued onto a base. I did have a bit of trouble sourcing suitable wire. I scoured the Pound Shop, Wilkinsons, Home Bargains and a couple of Florists but I couldn’t find anything suitably thin. In the end I happened across some wire in Hobbycraft which is quite thin. The only problem with it s that it is coated in some kind of black substance which comes off on anything it touches. After the first one, I made sure to use rubber gloves when I made the next two. My trees aren’t based on anything like a real tree; I just split the wires and twisted randomly to create something that looked tree shaped. I guess if you wanted to be accurate it wouldn’t be difficult to design specific types of tree. Once the tree shape is in place I needed to cover the wire so you can’t see the individual wires. I mixed up a concoction of all purpose filler (from the Pound Shop), PVA glue and water and then painted it all over the trunk and branches. It’s not thick enough to cover the wire in one go so I let it dry. 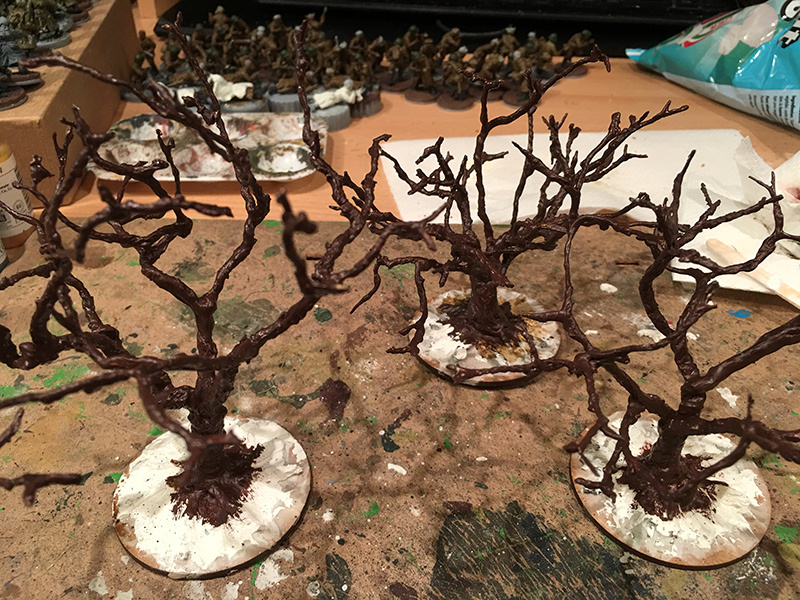 Rather than using a second coat, I switched to “Hard as Nails” (again from Pound Shop) glue and coated the tree branches and trunk. Once that had dried, I gave it a coat of PVA glue to seal it. 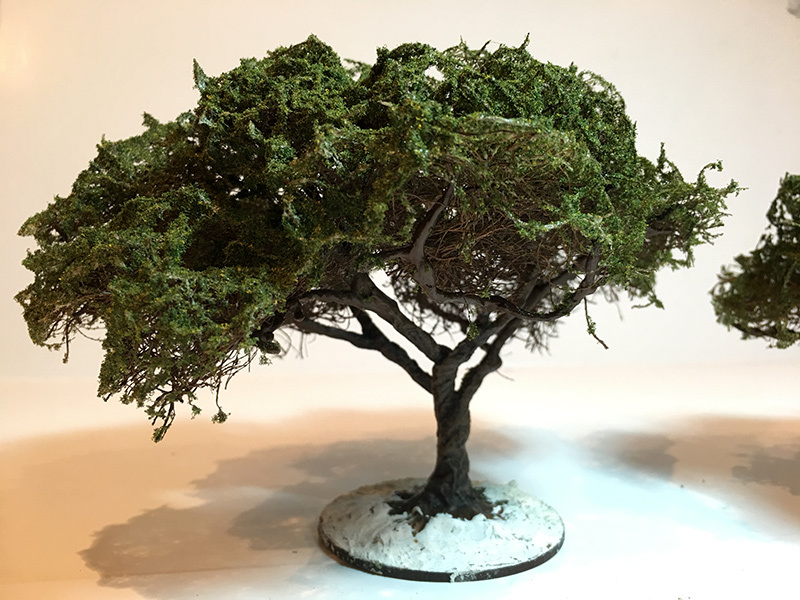 One trick I did pick up was that coating a white tree base with white glue, it was difficult to see which branches I’d done and which I needed to do, so half way through the first tree I added a few drops of Vallejo Brown paint to the PVA which made it much easier to see the progress. 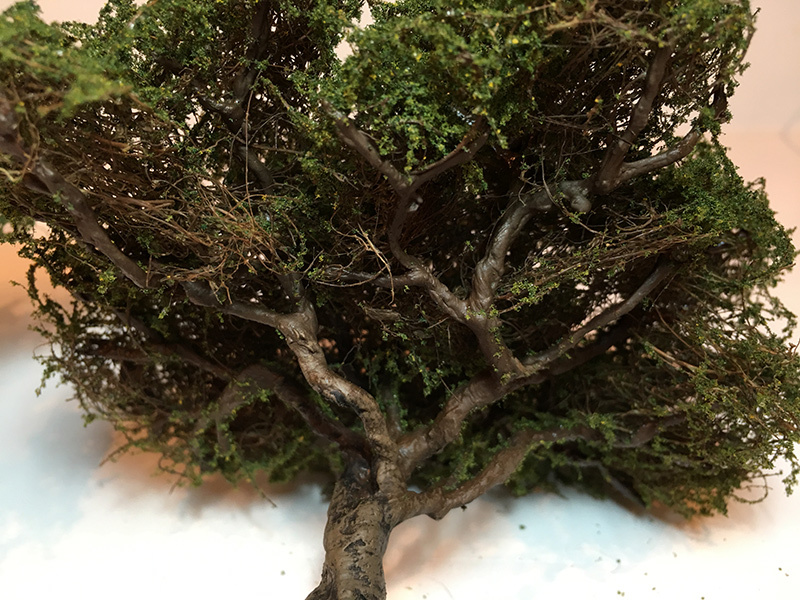 Once dried I gave the tree base a coat of brown paint. 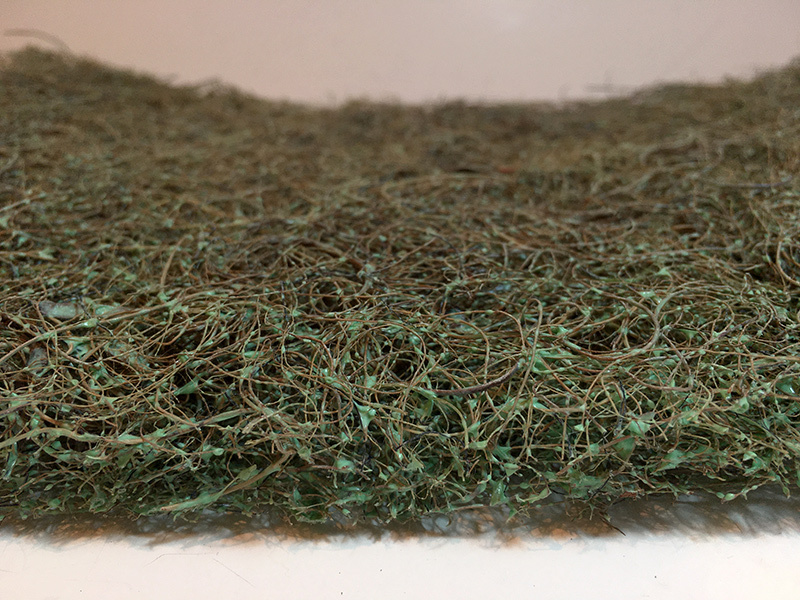 Once dry I then used the rubberised horsehair to make the canopy of the tree. 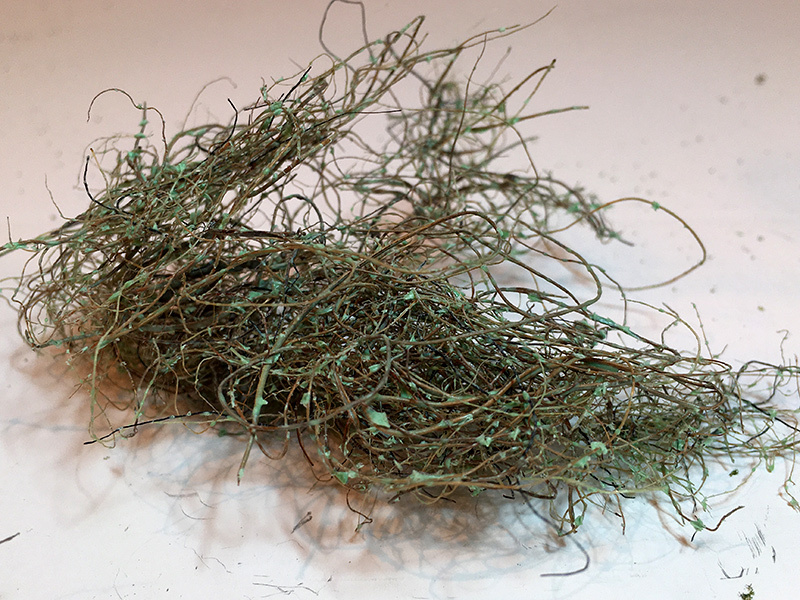 This is just a case of ripping out clumps of the horsehair from the sheet and then teasing it out into small shapes. I then glued these to the tree branches with PVA glue. Once the canopy glue has dried I then broke out my airbrush and have the whole trunk and canopy a blast of Vallejo chocolate brown. This gives it the effect of a tree without leaves. 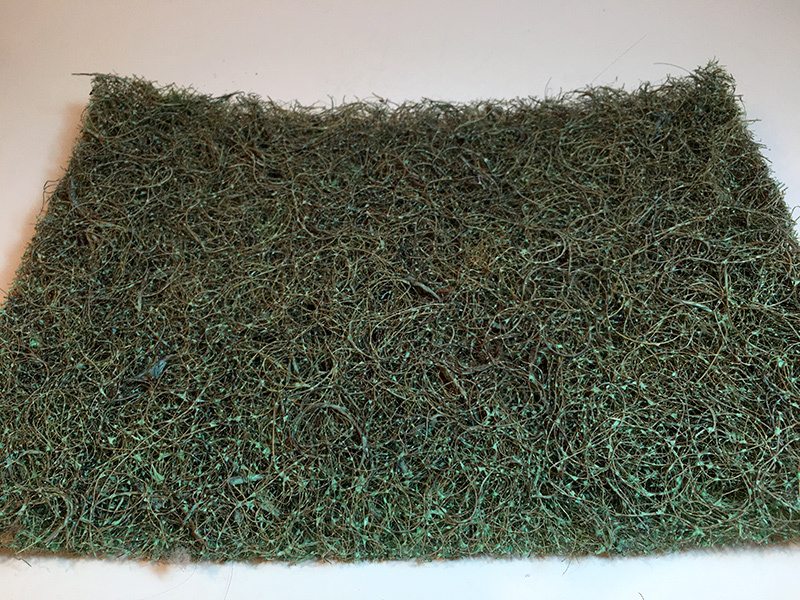 I then gave the horsehair a coating of multi-purpose adhesive spray and sprinkled flock onto it until it was covered. Once this is dried I gave it a coating of hairspray (generic stuff from Morrisons) to give the flock a bit of a fixing. I just need to finish off the bases and the trees are done. 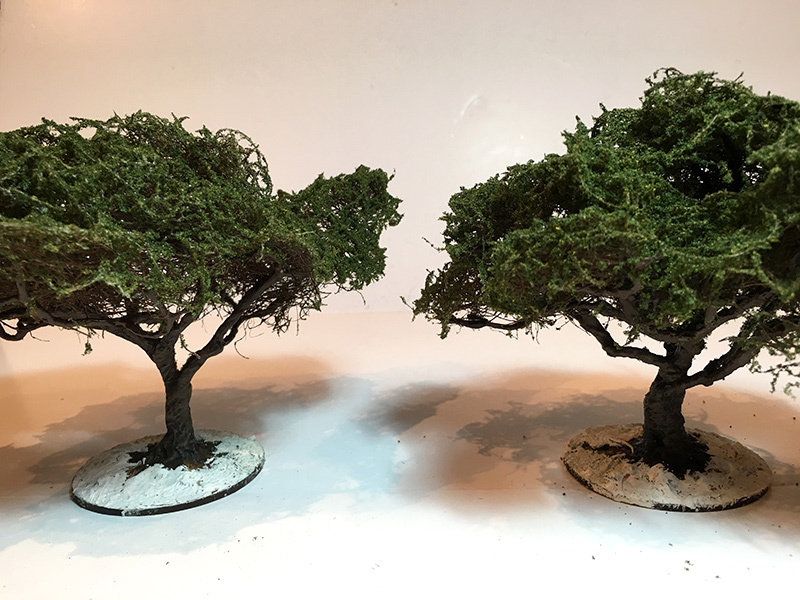 I’m quite pleased with the trees so will be making more in the same style. I just need to get a bit more flock as I only have two colours currently, the one you see on these examples and a lighter one which is a bit too unrealistic.